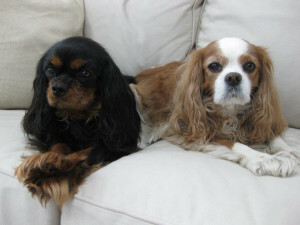 These two sweet pups came to the Cavalier Alliance as a transfer from another group for specialist care. 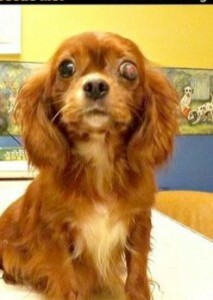 Their initial vet did a great job of getting them stabilized and we will continue that care. 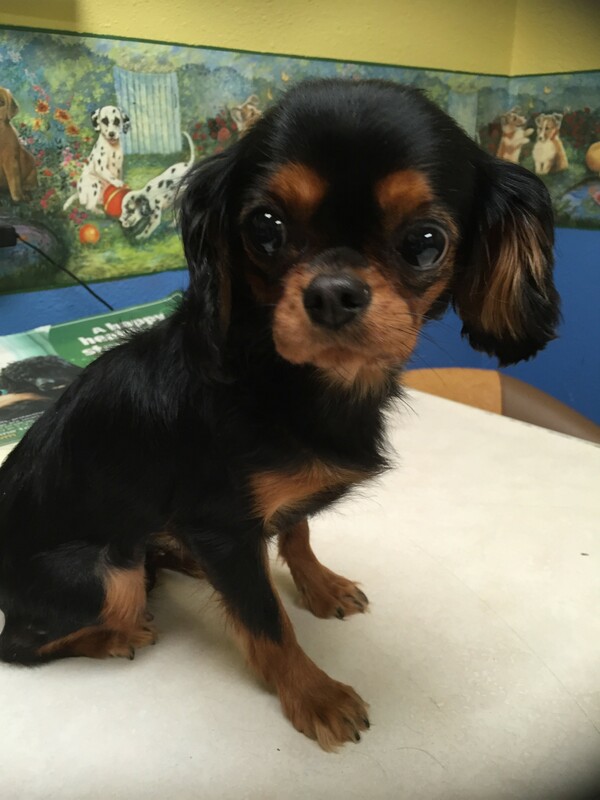 Lucy has ulcers on her right eye that need reviewed by a specialist and Zoey will need help with a back leg that keeps slipping out of place. Duncan, our long-term foster boy who has been struggling with Cushing's disease, is finally on the mend. His recovery is progressing well and our vets tell us that most pups with this disease take 3 - 6 months to stabilize. Since joining our program, this sweet Cavalier King Charles Spaniel has had four ACTH tests to ascertain his cortisol levels and had his medicines adjusted to stabilize him. Due to the generosity of our donors, he has also had a much-needed dental, with extractions, to allow his gum disease to heal. His tail was also amputated - only part-way - a complication of his untreated Cushing's disease. Now his skin is healing, his fur is growing back and he loves to wander the garden. Take a look at his latest home movie! 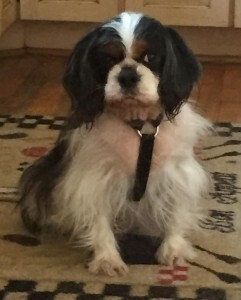 Duncan is ready for adoption and a more detailed overview is posted on our Rescue page. At this time, he is taking a daily dose of Trilosane to manage his Cushing's disease and will be on it for the rest of his life. 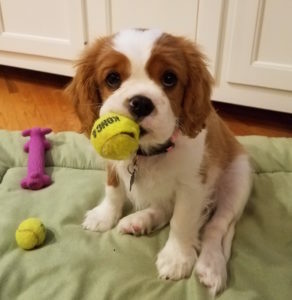 If you would like to contribute to Duncan's on-going care, please consider sending a donation to our paypal account (cavalierhelp@cavalieralliance.org) or consider sending a check to our address at: 64 Cedarwood Road, Boxborough, MA 01719. Sweet little Meghan was recently adopted. Here she is with her new brother Spencer. She is such a little lady with her paws crossed. Congratulations Meghan on your new forever family!